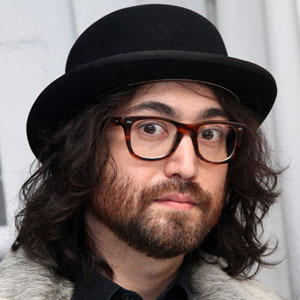 Sean Lennon, the only son of former Beatle John Lennon and Yoko Ono, will perform at The Saint in Asbury Park on Friday, Sept. 27 and club co-owner Scott Stamper said he could not be more pleased. “It’s really an honor to have Sean perform here- to have the son of rock and roll royalty in the house,” he said. Lennon will perform with his girlfriend, model Kemp Muhl, in their group The Ghost of a Saber Tooth Tiger. The performance is a warm up for an upcoming tour with the Flaming Lips and Tame Impala. The concert is part of the Red Stripe Concert Series. Also appearing will be Philadelphia’s Brother JT and the Wreaths from Asbury Park. Doors are at 8 p.m. and admission is $15. The Saint is located at 601 Main Street, at the intersection with Monroe Avenue. Lennon performed once at Asbury Park’s Stone Pony several years ago but Stamper said he was unable to attend the concert. “I hear he then went to the Hot Dog House and hung out there. So, I missed hanging out with him then and this will be the first time we have met,” he said. The Hot Dog House is a longtime rehearsal space on the upper floor on a building at the intersection of Main Street and Cookman Avenue. Lennon, who was born in 1975, is the only son of John Lennon and Yoko Ono. His godfather is Sir Elton John. Charlotte Kemp Muhl, born in 1987, is an American model, actress, singer and musician from Atlanta, Georgia. She began modeling at 13 years old and, at 16, became the youngest model to appear on the cover of Britain’s “Harper’s” and “Queen’s” magazines. She has been in a relationship with Lennon since 2005. They formed The Ghost of a Saber Tooth Tiger in 2008.